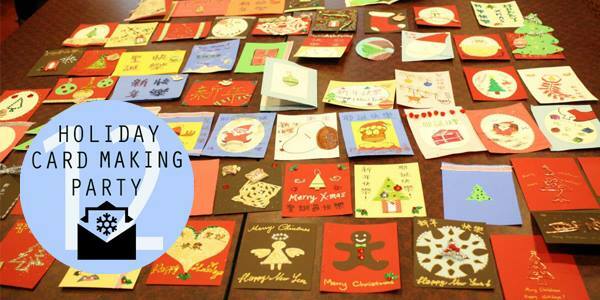 Taiwanese American Professionals in Boston (TAP-Boston) is once again hosting a holiday card marking event on Saturday Dec. 13, 3-5PM at 150 Huntington Ave near Symphony T stop. We’ll be personally delivering the cards to the Greater Boston Chinese Golden Age Center at a later date. We’ll provide the card making supplies (you’re also welcome to bring your own if you wish), so just bring yourself and holiday cheer! Feel free to join us for dinner afterwards.